It's hard to beleive, but the photos above are from Malabar Farm (then a State Historic Park), Ohio, the historic home of Louis Bromfield. This was the first interpretive plan I did while teaching Interpretive Planning at Ohio State University back in 1978 and the plan was used as the text book for the interpretive planning course. Time sure flies. Since then I have done several other projects for this farm and its agricultural history as well as for many other agricultural heritage sites in the US and internationally. - To have or not to have live farm animals. - Seasonal use of "renting farm animals" to be returned to owner in the fall/winter. - Animal care issues and veterinarian contracts and costs. - Added costs for animal feed. - Additional animal care staffing. - Operation of historic farm equipment (safety and insurance). - Development of demonstration gardens and farm operations (bee hives, etc.). - To have actual farm operations (renting fields to other farmers, etc.). - Interpreting farm families (historic timelines, etc. - Changes in farm technology over time and how it affected farm life and finances. The Interpretive plan is a tool that helps you plan for the options you want your farm or agricultural experience to demonstrate and plan for interpretive media and budget needs for annual operations. * Interpretive Master Planning - Philosophy, Theory and Practice. 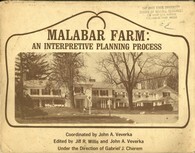 master planning project for their historic farm or agricultural site. plan in the future for this historic farms and agricultural heritage sites. degree in interpretive services or who have not had any formal training in interpretive master planning. interpretation planning with a focus on Historic Farms and Agricultural Interpretation. * Give you expertise in being an interpretive planning project manager. * Give you a skill level in reviewing draft interpretive master plans. 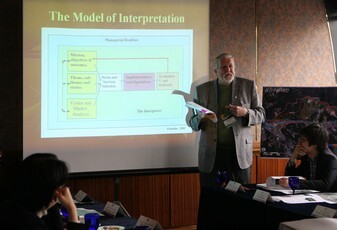 - Understand the model of Interpretive Planning. - Understand all the components of the Interpretive Planning Content Outline. - Learn the importance of developing an interpretive story-line flow chart. - Learn how to develop standard interpretive site inventory and story development forms. - Develop a 5 year implementation phasing strategy and implementation budget. future interpretive experiences for your market groups. Develop an interpretive master plan working draft for your historic farm or agricultural site/facility. Interpretive Master Planning - wrote the first Interpretive Planning Text book). Carolina State University, New York State University. * Developing your main interpretive theme. * Developing your learning, behavioral and emotional objectives. * Developing your interpretive story line flow chart. Unit Three - Interpretive Resource/Story Inventory - Where will interpretation occur. Existing interpretive opportunities as well as proposed interpretive opportunities. 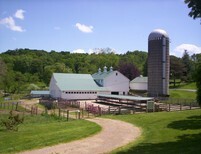 * Planning for farm animal interpretation and demonstrations. * Existing tour routes (guided or self-guided). ` * Inventory of Interpretive Experiences. * Inventory of Current interpretive products or services. * Developing your site inventory location map. - Review of the role of the farm in/with the local community. Unit Four - Your market analysis. * Who are your current market groups. * What market groups do you want to add? * What are the kinds of experiences you feel that your visitors want. * Seasonal interpretive programs and demonstrations. Unit Five - Planning for Interpretation for School Groups. Unit Six - Carrying Capacity for visitation and visitation management. * Site visitor flow management. * Development of visitor/animal contact policies. Unit Seven - Developing interpretive media (and evaluation of existing interpretive media). * Living history characters for interpretation options. Unit Nine- Planning for Interpretation of seasonal farming activities. Unit Ten - Planning for farm staffing, programming, animal care, farm operations/budgets. Unit Twelve - Evaluation and pre-testing recommendations. actual interpretive planning project) or interpretive planning outline/check- list if you will be working on a interpretive plan in the future. Estimated time to complete this course is 40 hours but you can take your time if you are working on a planning project using the course as your guide. FYI - the average time to do an interpretive master plan for an average park, historic site, nature center, etc. is about 14 working days - spread out over about 3 months allowing for research, reviewing drafts and then the final document. When will the course start? You can start this course at any time and work at your own pace. It is estimated that it will take about 40 hours to complete this course. The cost of the 40 hours of training is $300.00 USD, which can be paid for by credit card or PayPal at the Pay Now Button below. As the course is limited to 10 participants at one time, if you would like to see if the course has current openings or have us send you the course Registration Form, or if you have any questions at all please feel free to ask: jvainterp@aol.com.